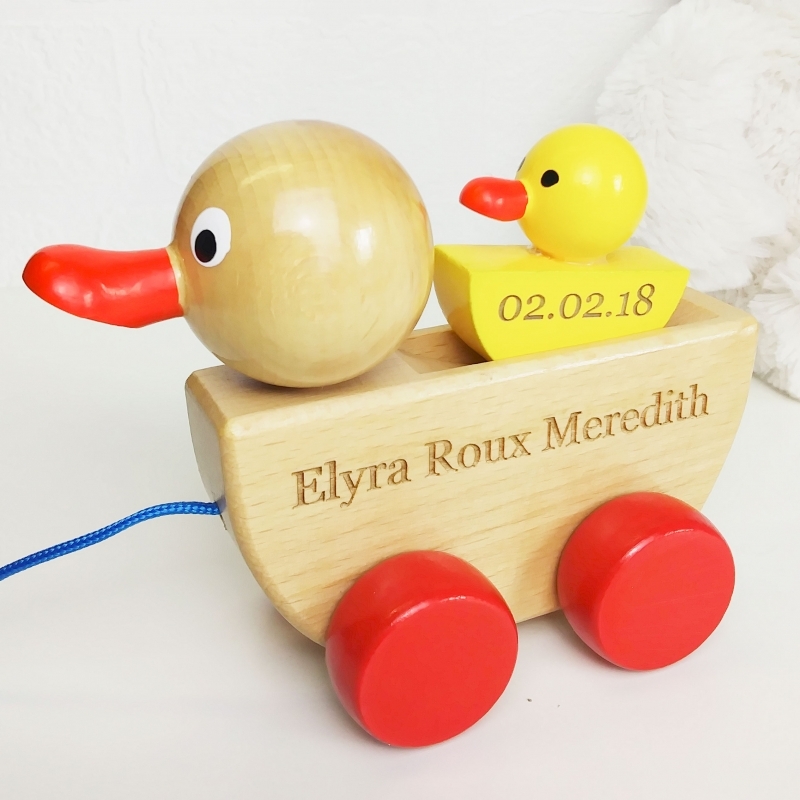 What we love about this toy duck is that it can start out life as a new baby gift or christening gift and beautifully grace the shelf of a nursery or a baby's room. 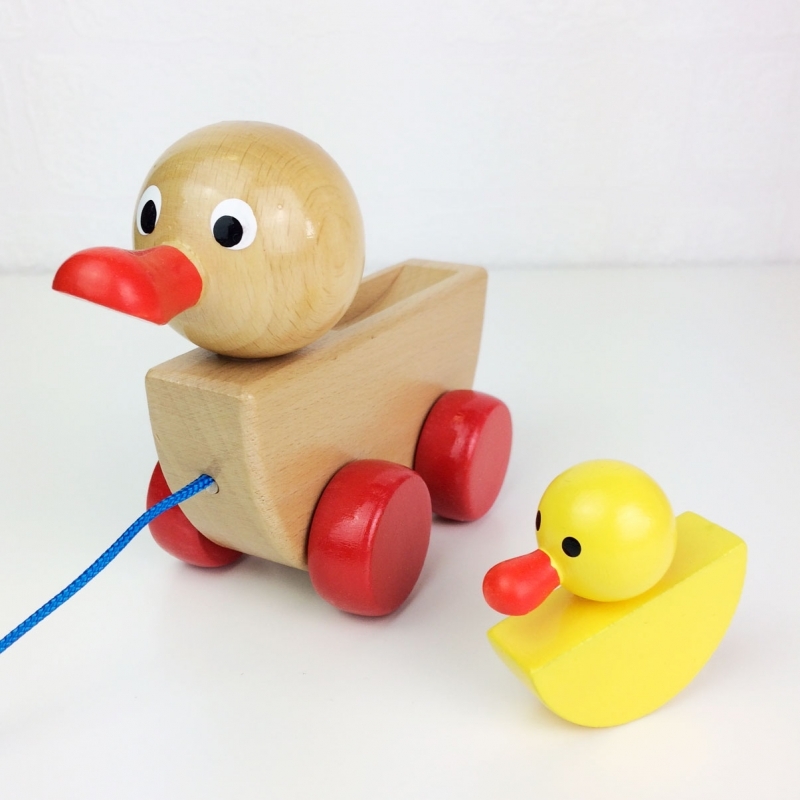 Then at toddler stage, they will love pulling it along and playing. Then it can be a beautiful keepsake for years to come, especially if it's been personalised with an engraving of your choice to make it extra special. Perfect for new baby, christenings, birthdays and Christmas gifts, this toy will be treasured forever. 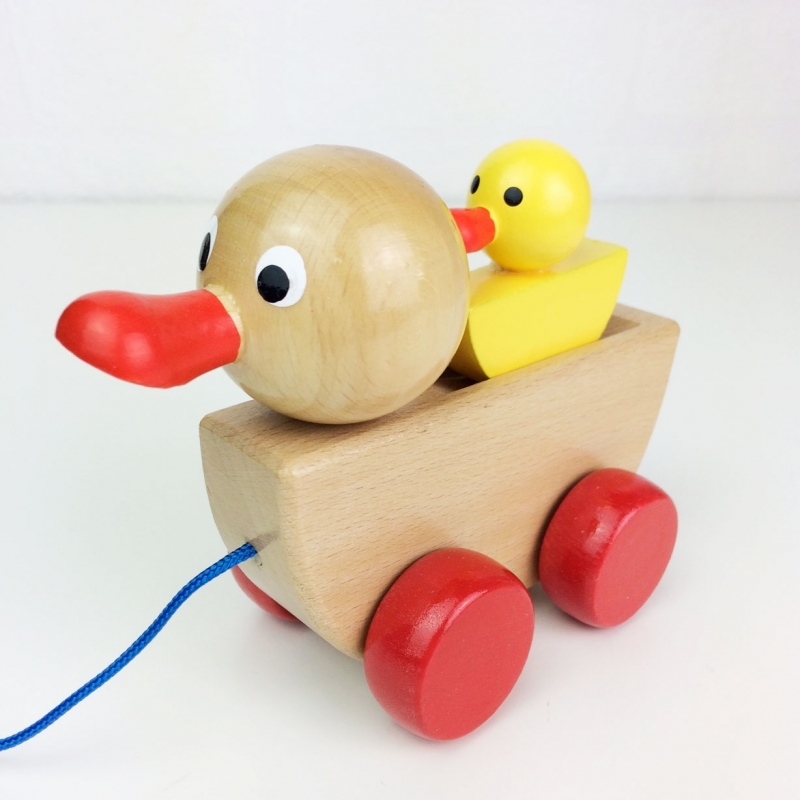 Hand-crafted in Europe using sustainable wood, this toy will never become outdated, and it makes a refreshing change to anything technical and electronic! It conforms to European Safety standards, and uses non-toxic paint. 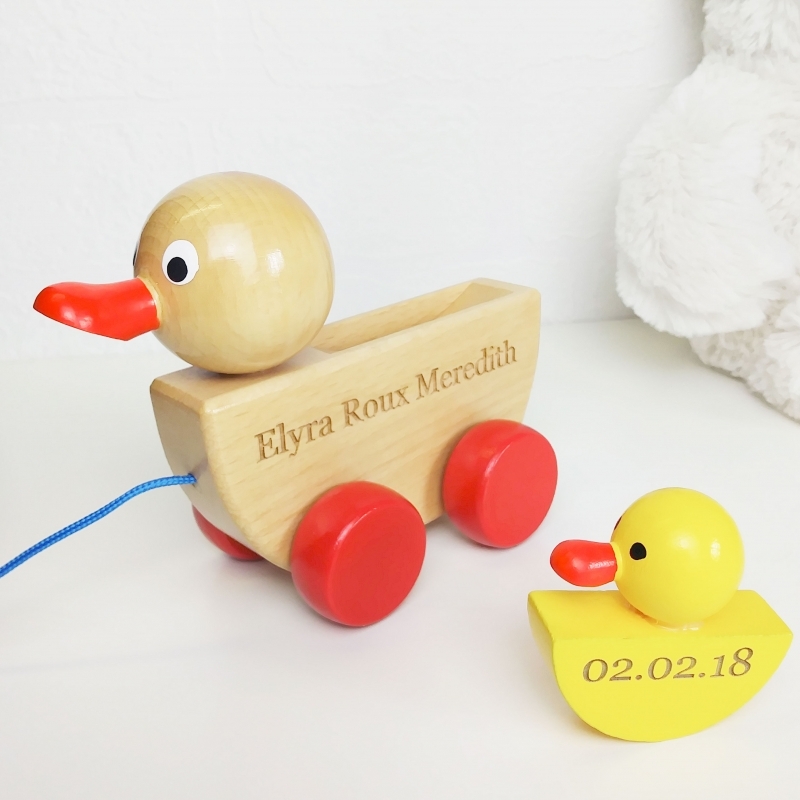 When engraved,we can engrave both the body of the adult duck and a small piece of text on the duckling (we would suggest only one word or a date due to the size). Please just select engraving and let us know what you would like on there. Please don't hesitate to contact us with any questions through the customer enquiry form. Why not have it gift wrapped in one of our drawstring bags? Approx 12cm in length, 6.5cm in width, and 12cm in height at the tallest point.